Its interesting to see how Greece has carried forward its legacy of astronomy so well! Considered to be the largest and best equipped digital planetariums in the world, a visit to this attraction is a must during your stay in Athens. This planetarium has been set up with a view to inculcate an interest in science of the universe with the help of interactive sessions that rest on audio and visual modes. The central dome inside this planetarium is 25 metres in diameter and has a surface area of 935 square metres set against the screen that provides a 3-D 360-degree view. For those who don’t know the Greek languages are narrated information in the English language. 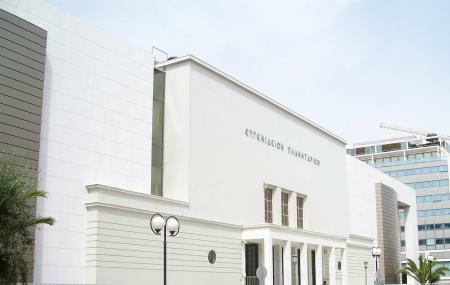 How popular is Athens Planetarium? People normally club together Socrates' Prison and Tower Of The Winds while planning their visit to Athens Planetarium. People also prefer to end their day with Athens Planetarium. The new dome is superb. Excellent quality. It doesn't matter if you are child, young or older, everybody should visit the Planetarium! It’s not close to downtown, although you can get there by bus for 2,80€ round trip. The movie was good, although they ONLY provide English translation. In modern days, a Planetarium like this one should have other languages available. It’s impossible to turn down the volume during the translation. It was so loud that you could hear perfectly with your headphones out of your ears, otherwise it could get annoying. Bring your own headphones as they don’t provide ones for free (1€). We schlepped all the way over from the Acropoli in the heat and they are closed until 5:30 in the evening. Apparently it is really just a movie theater as we were given a program of the shows (all in Greek, which is fine but might matter to another) and the exhibition halls were closed. Only the cafeteria and gift shop were open. :-/. We tried to research what times it would be open and were given conflicting info about it from the local information guides, the dinosaur programs are only on the weekend, and apparently the schedule on their website must use flash as it wouldn’t load. Even if it had though, I would have assumed the Exhibition Hall would be open, what kind of a planetarium only opens to run films?